On April 24th and 25th, 2017 the DIGSSCORE center at the University of Bergen hosted the third edition of the Barcelona-Bergen-Gothenburg Workshop on Experimental Political Science. The workshop brings together researchers who use experimental methodology to address political phenomena. This was the third edition of the workshop, accommodating 15 presentations and one keynote lecture by professor Diana Mutz from UPenn. Diana Mutz (keynote speaker), University of Pennsylvania. Mike Tomz (invited guest, PhD course provider), Stanford University. Elisabeth Ivarsflaten (host), University of Bergen. Peter Esaiasson (co-convener), University of Gothenburg. Jordi Munoz (co-convener), University of Barcelona. Stefan Dahlberg, University of Bergen. Eric Dickson, New York University. Eva Anduiza, University of Barcelona. Lise Bjånesøy, University of Bergen. 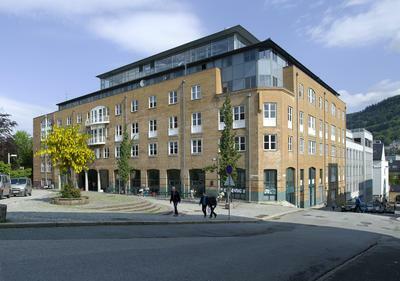 Sveinung Arnesen, University of Bergen. Alexandra Scacco, New York University. Annerose Nisser, University of Konstanz. Dominik Duell, University of Essex. Miquel Pellicer, University College Dublin. Konstantin Glinitzer, University of Vienna. Sergi Pardos-Prado, University of Oxford. J. Andrew Harris, New York University. Ann-Kristin Kölln, University of Leuven. Jonas Linde, University of Bergen. Mikael Johannesson, University of Bergen. Erik Knudsen, University of Bergen. Endre Tvinnereim, University of Bergen. Patrick Lown, University of Essex. Johanna Søderstrøm, University of Bergen. Troy Broderstad, University of Bergen.